✅ Hromadske journalists are currently on the ground uncovering the latest information that will be added to this article. Eastern Ukraine, Donetsk region, Avdiivka: since January 2nd conflict here escalated enormously. The city is being shelled. OSCE SMM - Special Monitoring Mission to Ukraine reports ceasefire violations from both Ukrainian and Russian-backed separatist side. Locals are left without water and electricity. The power line that fed the coke plant has also been damaged. Two separatists captains were killed during fightings, second-in-command officer of the 72nd brigade of the Armed Forces of Ukraine Oleksandr Samarskiy said. Consequently Avdiivka was declared of state of emergency. 7:15 pm, Kyiv time: International Committee of the Red Cross has already sent humanitarian convoy with basic goods to Avdiivka. Moreover, they will provide assistance for transportation with DNA-probes for further expertize and identification. 6:59 pm, Kyiv time: ATO press-center reported about 2 killed and 6 wounded Ukrainian soldiers. They also confirmed frequent shelling of Avdiivka from Russian-backed separatists side. 6:02 pm, Kyiv time: Special Representative of the OSCE Chairperson-in-Office in Ukraine and in the Trilateral Contact Group Martin Sajdik announced no sanctions are required for the violators of ceasefire in Donbas. 5:46 pm, Kyiv time: According to the statement by Leonid Kuchma’s press secretary, the Trilateral Contact Group on Ukraine called for a total ceasefire in the Avdiivka region, military disengagement util the line, marked by the Memorandum from September 19th, 2014. They also demanded full OSCE’s access for controlling the situation..
3:42 pm, Kyiv time: The State Emergency Service transported 77 people from Avdiivka (19 adults and 58 children) by three buses. 3:36 pm, Kyiv time: Russian-backed separatists violated ceasefire in Avdiivka region. They shelled wiremen. Interior Minister Arsen Avakov says nobody has been killed. 3:18 pm, Kyiv time: The Avdiivskiy cooking plant can restart its work 4-5 days after the power lines are fixed, says the CEO of the Avdiivskiy cooking plant Musa Magomedov. 2:50 pm, Kyiv time: A ‘silence regime’ in Avdiivka continues, reports the Common Center of Control and Coordination of the Ceasefire in Donbas (Ukraine). Working groups began repairs. According to the Head of the military-civilian administration of the Donetsk region Paul Zhebrivskyi, in the "old Avdiivka" region, working groups fix the damage caused by a “Grad” attack on the neighborhood. Housing and utility groups repair roofs and windows. Gas crews eliminate damaged pipelines between houses, caused by explosions and shrapnel. First Deputy Head of the Military-Civilian administration of the Donetsk region Vilinsky Evgen reports that the ‘silence regime’ will last until 17:00 in Avdiivka. 2:00 pm, Kyiv time: According to ATO press-center, two Ukrainian soldiers died and two were wounded in the last 24 hours. 1:17 pm, Kyiv time: Hromadske’s journalist reports that as a result of the shelling in “old Avdiivka” (a part of the town closer to the frontline), blasts hit residential houses. One of the missiles hasn’t burst, and it lays on the railroad track. Hromadske also noted fragments of Grad rockets. 1:11 pm, Kyiv time: Workers of The State Emergency Service started mine lifting, so that the maintenance team can start emergency recovery work. 1:05 pm, Kyiv time: The head of the Donetsk Regional Police Department Vyacheslav Abroskin announced that one woman had died because of the shelling of Avdiivka by Russian-backed separatists in the morning of February, 1st. 12:13 pm, Kyiv time: The maintenance team went to fix power lines as the Russian side had guaranteed ceasefire. 12:00 pm, Kyiv time: Now, Ukrainians at Maidan Nezalezhnosti in Kyiv are paying respect to the 7 Ukrainian soldiers, killed in Avdiivka. The youngest of them was 23. 12:00 am, Kyiv time: The head of The State Emergency Service Mykola Chechotkin demands the possible evacuation plan for Avdiivka in case the situation gets worse, which involves the evacuation of 12, 000 residents. According to him, 180 buses are prepared for evacuation. 11:05 am, Kyiv time: The head of the Donetsk civil-military administration Pavlo Zhebrivskiy reported that Avdiivka had been shelled with Grads, thus 20 building had been damaged. 9:38 am, Kyiv time: Hromadske’s correspondent says that 80 children left Avdiivka for Svyatogirsk. Evacuation is unenforced and people will have more chances to leave the town. 9:31 am, Kyiv time: Donetsk police announced that one civilian was wounded and 6 buildings were damaged because of shelling. 9:16 am, Kyiv time: Workers of the State Emergency service continue to provide aid to people in 7 mobile heating points. 9:08 am, Kyiv time: First Deputy of the Donetsk civil-military administration Evheniy Vilinskiy said that the “Water of Donbas” company lost 200, 000 tones of water. According to him, separatists denied access to maintenance crews. 8:39 am, Kyiv time: At the same time, the head of the Donetsk civil-military administration Pavlo Zhebrivskiy wrote on Facebook that the night in Avdiivka was relatively calm. 8:32 am, Kyiv time: The Press Center of the Anti-Terroristic Operation said that terrorists stormed Ukrainian positions. According to the Press Center, the opposing side used Grad rockets. Their attempt failed. 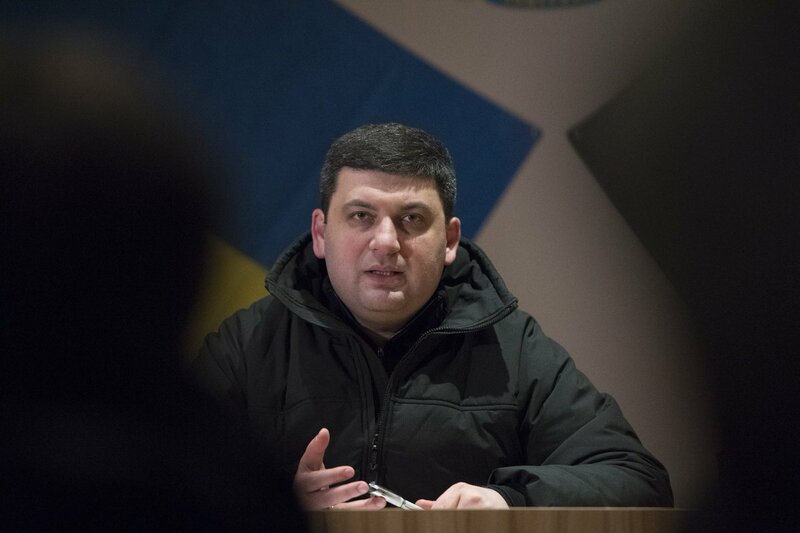 11:30 pm, Kyiv time: Ukrainian Prime Minister Volodymyr Groysman gave a briefing in Avdiivka. He said that the temperature in local flats is around 15. Prime Minister also called to provide people with fresh and process water and to create a common center for children’s education. 11:20 pm, Kyiv time: Statement US Department of State expressed dismay at the ceasefire violations in Eastern Ukraine in the statement, in which they call for "an immediate, sustained ceasefire and full and unfettered access for OSCE monitors". It is also said that the U.S. reaffirmed its support for full implementation of the Minsk agreements. 9:40 pm, Kyiv time: The UN Security Council will consider the escalation of violence in eastern Ukraine on Tuesday, January 31, behind closed doors, according to the UN Radio. Clossed session will be help at the request of the Ukrainian delegation. 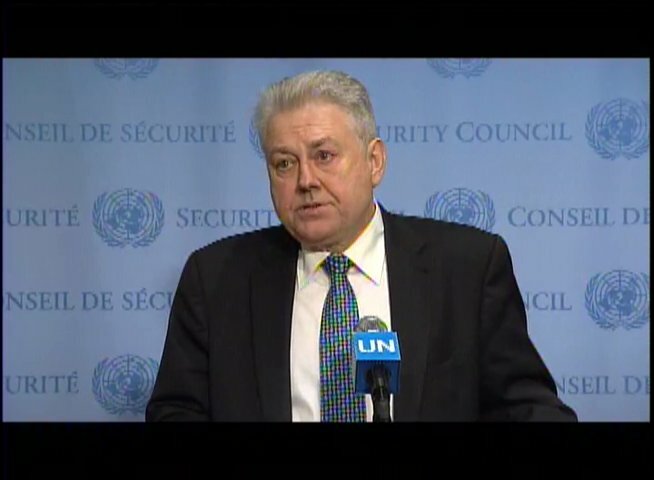 Also according to the Permanent Representative of Ukraine to the United Nations Volodymyr Elchenko, the UN Security Council will have a briefing on the situation in Ukraine. 5. There’s evacuation of local children (approximately 2,500 of them) is planned for tomorrow. 6:00 pm, Kyiv time: 490 people have been to the mobile heating points in Avdiivka, press service of The State Emergency Service says. There were 170 pensioners and 101 children among them. Three field-kitchens work near the mobile heating points. 5:30 pm, Kyiv time: United Nations in Ukraine call for "an immediate cessation of hostilities" in order to "prevent further loss of lives and to enable repair teams to urgently restore critical basic services to hundreds of thousands of affected civilians living in -10 below zero temperature." "Due to the shelling, the Donetsk Filter Station (DFS) stopped working on 30 January leaving some 15,000 to 17,000 people in Avdiivka without water, and potentially affecting up to 400,000 people served by the facility," the statement also said. 5:00 pm, Kyiv time: According to the President, generators were given to the town. Also, by the President's orders, field-kitchens and mobile heating points were set up. 4:55 pm, Kyiv time: Ukrainian President Petro Poroshenko claims that soldiers in Avdiivka aren’t prohibited from firing, but they do not hit separatist positions in residential areas. “I would like to calm everybody down… Our soldiers of the 72nd Brigade and others are defending their positions; they have no orders to open fire in return. They have all capacities needed for defense,” he said during the meeting, where Defense Minister Stepan Poltorak, Interior Minister Arsen Avakov and Secretary of the National Security and Defense Council of Ukraine Oleksandr Turchynov were also present. 4:39 pm, Kyiv time: “Avdiivka has been a hot spot during the last two days, where both sides of the armed conflict have committed provoking acts. We demand a ceasefire in order to begin overhauls,” said Alexander Hug, Deputy Chief Monitor of the OSCE Special Monitoring Mission (SMM) to Ukraine. 4:08 pm, Kyiv time: According to the head of the Donetsk civil-military administration Pavlo Zhebrivskiy, the Russian side of the Common Center of Control and Coordination of the Ceasefire in Donbas has not provided proof of ceasefire in the overhaul zone in Avdiivka. "Today, maintenance crews cannot reach the place of the power line break," he added. 3:25 pm, Kyiv time: “We are trying hard to heat the town. We burn natural gas; it is very expensive, but we have no choice. The temperature in the flats should be at least 16°С (60°F). We can’t make it higher,” said the CEO of the Avdiivskiy cooking plant Musa Magomedov. The cooking plant, which provides the town with water and energy, is now left without power because of the shelling. Avdiivskiy cooking plant, Donetsk region, Ukraine. 3:16 pm, Kyiv time: Minutes after a ceasefire was announced, Russian-backed separatists began shelling again. 2:49 pm, Kyiv time: Hromadske’s correspondent, who is in Avdiivka, informed that the Avdiivska industrial area was hit by Grad rockets at about 2:30 pm, Kyiv time. 2:43 pm, Kyiv time: Ceasefire is working in Avdiivka, says Evheniy Vilinskiy, First Deputy of the Donetsk civil-military administration. According to him, maintenance crews are now estimating the recovery of destructed power lines. 2:22 pm, Kyiv time: According to the head of the Donetsk civil-military administration Pavlo Zhebrivskiy, temperature in the heat distribution network is still at 15°С (59°F). “The National Police has organized enough police patrols to keep order in the town. Social workers and police officers work with locals all the time. There is no panic,” he wrote on Facebook. 1:59 pm, Kyiv time: Workers of the State Emergency service installed 10 mobile heating points for people in the stadium in Avdiivka. Locals can get some food and also charge their devices here. People come here because it is “slightly warmer” than in their houses. 1:41 pm, Kyiv time: As reported by Hromadske’s correspondent, 10 patients have been evacuated from the hospital in Avdiivka. This was in response to shells that targeted the hospital. As on 12:50 pm Kyiv time сeasfire deal wasn't aranged, said First Deputy of the Donetsk civil-military administration Evheniy Vilinskiy. The escalation of armed conflict in Avdiivka happened, when 5 Ukrainian soldiers died and 14 were wounded on January, 29th. On January, 30th 3 Ukrainian soldiers died and 17 got wounded. Avdiivka was left without water, power and heating supplies because of shellings. People come to mobile heating points , because temprerature in their apartments is quite low.